Perry, B. W., Card, D. C., McGlothlin, J. W., Pasquesi, G. I., Adams, R. H., Schield, D. R., … Schott, R.K., Bhattacharyya, N., Chang, B.S.W., … & Vandewege, M. W. (2018). Molecular adaptations for sensing and securing prey and insight into amniote genome diversity from the garter snake genome. Genome Biology and Evolution. PDF. Gutierrez, E.D.A., Castiglione, G.M., Morrow, J.M., Schott, R.K., Loureiro, L.O., Lim, B.K., & Chang, B.S. (2018). Functional shifts in bat dim-light visual pigment are associated with differing echolocation abilities and reveal molecular adaptation to photic-limited environments. 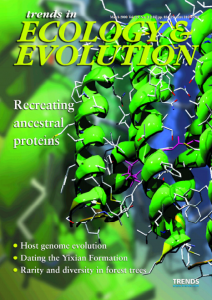 Molecular biology and evolution. PDF. Gutierrez, E.A., Schott, R.K., Preston, M.W., Loureiro, L.O., Lim, B.K., and B.S.W. Chang (2018). The role of ecological factors in shaping bat cone opsin evolution. Proceedings of the Royal Society B, 285: 20172835. PDF. Schott, R.K., Van Nynatten, A., Card, D.C., Castoe, T.A., & Chang, B. S. (2018). Shifts in selective pressures on snake phototransduction genes associated with photoreceptor transmutation and dim-light ancestry. Molecular biology and evolution, 35(6), 1376-1389. PDF. Castiglione, G.M., Schott, R.K., Hauser F.E., and B.S.W. Chang (2018). Convergent selection pressures drive the evolution of rhodopsin kinetics at high altitudes via nonparallel mechanisms. Evolution, 72 (1): 170-186. PDF. Di Roberto, R.B., Chang, B., and Peisajovich, S.G. (2017). The directed evolution of ligand specificity in a GPCR and the unequal contributions of efficacy and affinity. Scientific Reports, 7 : 16012. PDF. Hauser, F.E., and Chang, B.S.W. (2017). Insights into visual pigment adaptation and diversity from model ecological and evolutionary systems. Current Opinion in Genetics & Development, 47: 110-120. PDF. Hauser, F.E., Ilves, K.L., Schott, R.K., Castiglione, G.M., López-Fernández, H., and Chang. B.S.W. (2017). Accelerated evolution and functional divergence of the dim light visual pigment accompanies cichlid colonization of Central America. 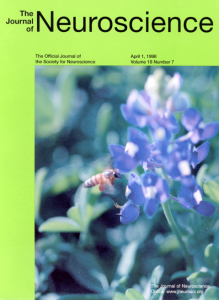 Molecular Biology and Evolution, 34 (10): 2650-2664. PDF. Castiglione, G.M., Hauser F.E., Liao B.S., Lujan N.K., Van Nynatten A., Morrow J.M., Schott R.K., Bhattacharyya N., Dungan S.Z., and B.S.W. Chang (2017). Evolution of nonspectral rhodopsin function at high altitudes. Proceedings of the National Academy of Sciences of the United States of America, 114 (28): 7385-7390. PDF. Morrow, J.M., Castiglione, G.M., Dungan, S.Z. Tang, P.L., Bhattacharyya, N., Hauser F.E. and B.S.W. Chang (2017). An experimental comparison of human and bovine rhodopsin provides insight into the molecular basis of retinal disease. FEBS Letters, 591, 1720-1731. PDF. Bhattacharyya N., Darren B., Schott R.K., Tropepe V. and B.S.W. Chang (2017). Cone-like rhodopsin expressed in the all-cone retina of the colubrid pine snake as a potential adaptation to diurnality. Journal of Experimental Biology, 220, 2418-2425. PDF.